Tim Ortiz and Andreana Donahue are the co-founders and co-authors of Disparate Minds, an ongoing interdisciplinary project dedicated to increasing visibility for and discussing the work of marginalized self-taught artists in a contemporary context. Through their research, writing, lectures, and curatorial projects, Donahue and Ortiz share insight informed by extensive experience working at the intersection of art and disability as practicing artists, artist facilitators, dedicated disability rights advocates, and most significantly in building and co-managing a studio for eighty self-taught artists with developmental disabilities in Nevada. They spent 2015 as Artists-In-Residence in Alaska, focused on their own studio practices while also implementing progressive facilitation methods and contemporary practices in an integrated studio in Juneau. Disparate Minds is the recipient of a 2018 Arts Writers Grant from Creative Capital/The Andy Warhol Foundation, 2015 Puffin Foundation Grant, and 2015 AWB Harnisch Foundation Grant. Donahue and Ortiz have maintained ongoing professional and creative collaborations since 2011. Recent curatorial projects include Storytellers at LAND in Brooklyn, Mapping Fictions: Daniel Green, William Scott, Roger Swike, and Joe Zaldivar at The Good Luck Gallery in LA, and upcoming group exhibition in June at Circle Contemporary in Chicago. Our intention is to document, demystify, and raise awareness about progressive art studios and the artists they facilitate in order to articulate their true nature and importance. We aim to present the work of these self-taught artists in the context of contemporary art in order to advocate for critical discourse and eliminate the sympathetic viewer. Over 25 studios across the US will be visited and documented over the course of this project, in addition to essays, exhibition reviews, and interviews. This endeavor is inspired by the understanding that these studios aren’t just excellent places for artists living with disabilities to pursue fine art practices, but also uniquely important as relevant creative institutions in their respective communities and global cultural forces. These studios should be considered a necessary component of any support system for this population; there’s no greater way for these artists to achieve value and integration in their communities. We strive to cultivate a deeper understanding of how these studios function while highlighting shared challenges and fostering discussion in favor of a more resolved and sustainable model. Andreana Donahue (born 1981 in Chicago, IL) is a multimedia artist, writer, and independent curator with a BFA in painting and sculpture from the School of the Art Institute of Chicago. She has organized and exhibited in group and solo exhibitions in Alaska, Chicago, Iceland, Los Angeles, NYC, Nevada, and Miami. Donahue’s project-based practice spans various media and narratives, yet reflects an ongoing relationship with the transformation of everyday materials through labor-intensive, analog processes. Her recent work reflects a deep engagement with abstraction, the history of quilting, and a re-imagining of its utilitarian traditions. Artist residencies include the Wagon Station Encampment at A-Z West in Joshua Tree, The Icelandic Textile Center, SIM in Reykjavik, 100 West Corsicana in Texas, and the Vermont Studio Center. Donahue is the recipient of a 2018 Nevada Arts Council Fellowship and Vermont Studio Center Grant, among others. Visit her website here. Tim Ortiz (born 1985 in Burlington, VT) is a painter and writer with a BFA from Elmira College in New York. Initially trained in traditional landscape painting and Contemporary Photorealism, Ortiz's work presently reflects a commitment to the practice of painting from a minimalist perspective - seeking the absolute through the deconstruction of mark-making, while rendering space and form in an abstract context. Ortiz began working with adults living with developmental disabilities in 2008, spending two years working managing a caseload of over 100 individuals for a job training program before meeting Donahue in a progressive art studio. He has developed art programming for Special Education and High School students with Autism, and spent one year creating and providing weekly art-making sessions for seniors in a psychiatric hospital. He is currently a CNA and home/community-based personal care provider for adults with developmental disabilities. 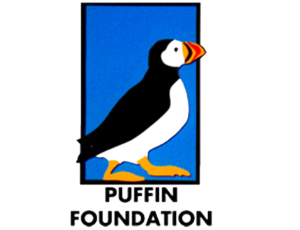 Ortiz is the recipient of a 2015 Puffin Foundation Grant and AWB/Harnisch Foundation Grant for Disparate Minds.